Inplacement is a flexible solution where we come to your business and solve the tasks locally. It may be that you have a functioning department that needs to be improved or a need for better competencies in economics and administration. 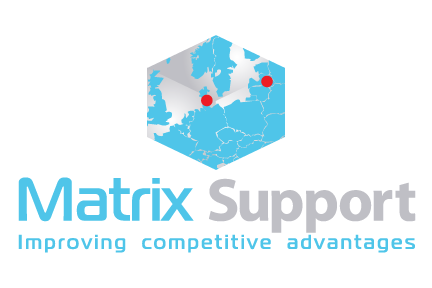 Matrix Support has a wide range of services, all within financial and administrative tasks. With our inplacement solution we will be physically present in your organization, which allows for good cooperation . If you already have a department we will take the responsibility for making it function optimally. Even if it involves hiring new people, managing existing functions or allocating tasks to employees. Our most important tasks are to ensure an efficient department in which quality work is delivered. All tasks will be tailored to your business needs. Contact us today if you want to know more about your possibilities for inplacement. One of the clear strengths of inplacement is your opportunity for better sparring and service. With inplacement, it will be easier for you to spar with us on a continual basis whenever you need it, as we will be present in your organization at all times. There will be a short way to discuss issues and areas that can be optimized in the company. You will experience a good and friendly service throughout the entire process. A service where we contribute with all our knowledge, experience and advice. It will be up to your decision makers to assess them and take action. It can replace your “variable salary costs”. Flexible solutions – individual staff composition as needed. Customized solution that fits your organization. To have your tasks solved locally from your own office. To have direct communication with us where we can easily solve urgent tasks and give immediate sparring. That we directly provide your existing department with great competencies and years of experience directly. Would you prefer that we attend to your financial tasks from our own office to avoid taking up your space? Read more about outplacement here.